Become One of Coach Finn's Finest Recruits! UNIVERSITY OF MICHIGAN COACH FORD WORK WITH COACH FINN OFFENSE. 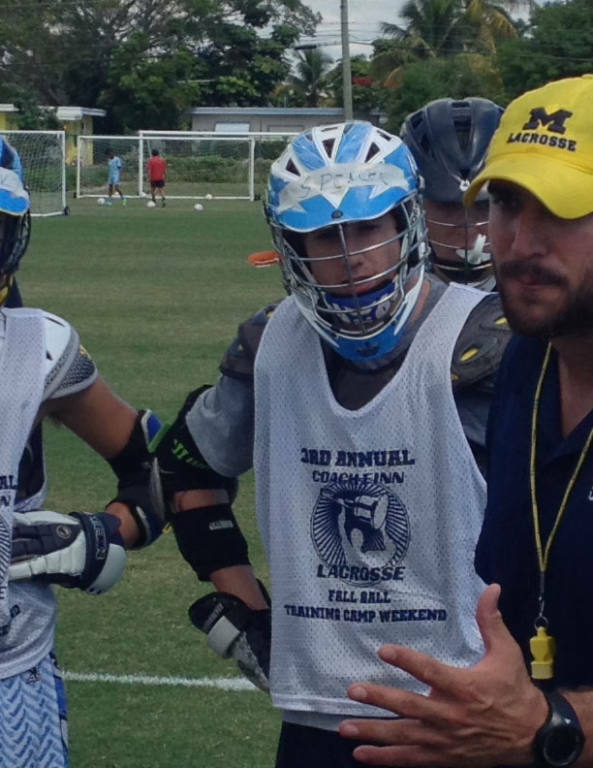 ABOVE: HEAD COACH KEVIN CORRIGAN FROM THE UNIVERSITY OF NOTRE DAME WORKING WITH COACH FINN PLAYERS AT CAMP IN DELRAY BEACH! DON'T MISS THIS VALUABLE OPPORTUNITY TO IMPROVE YOUR CHANCE OF ACHIEVING YOUR DREAM OF PLAYING COLLEGE LACROSSE! *COACH FINN HAS HELPED SEND OVER 150 PLAYERS TO DIVISION I, II AND III PROGRAMS. *COACH FINN WORKS WITH 3 STUDENT ATHLETES DURING THE YEAR...BE 1!!! !